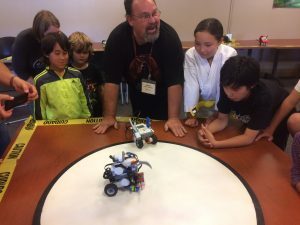 For the last 12 weeks, kids have been working hard to create robots using LEGO MINDSTORMS. Now they're ready to show off what their 'bots can do at the Grand Finale Robo Sumo Wrestling Event! See what the kids created and root for your favorite robots!